Congratulations on moving into your new home! Whether it was down the street or in a different city, moving can be an exciting experience. You’ve taken the necessary steps to get into your new space, but the process isn’t quite over. In fact, there’s a lot of stuff that needs to get done before you can totally relax in your new house. 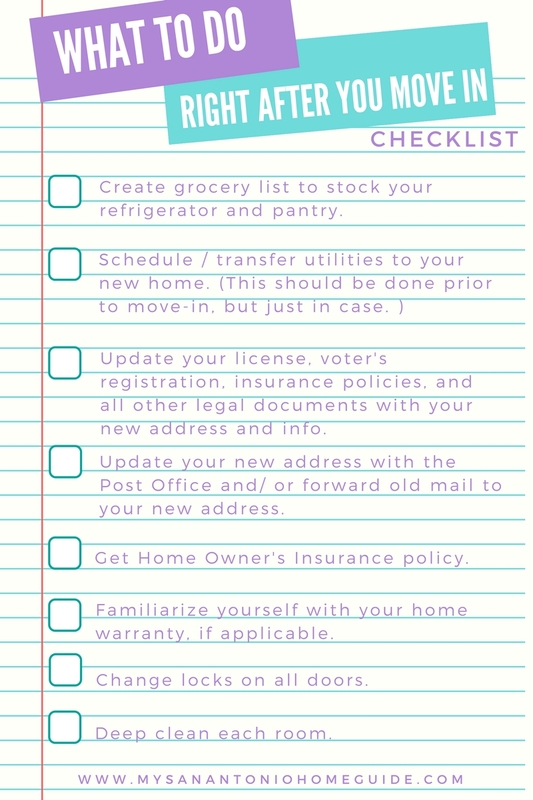 We’ve created a checklist of things to make sure to do once you’ve actually moved in! 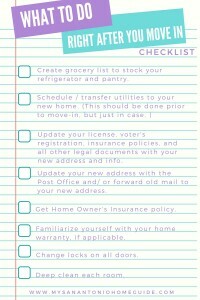 Creating a checklist will not only help you stay organized, but will help you from getting behind on payments with utility companies and other necessary expenses.